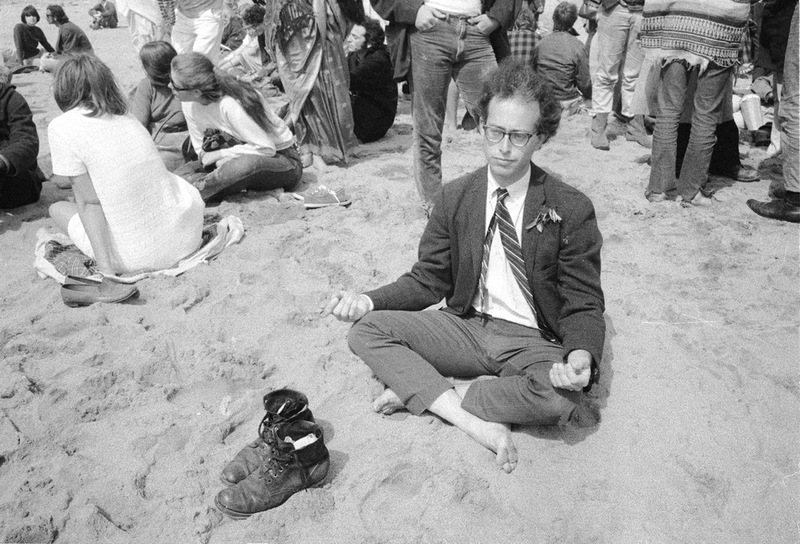 In 1967, Elaine Mayes was living in a Haight-Ashbury commune and piecing together work as a photojournalist. With national media swarming the neighborhood, she saw firsthand, at 30, just how carelessly the press represented and, in a way, created the chaos of the Haight. “I wanted to make something that I thought might be more truthful and accurate about the situation,” she says. So in ’67 and ’68, in the months before she left San Francisco to take a teaching position at the University of Minnesota, she approached people on the street and in Golden Gate Park, asking if they’d like to have their portraits taken. Not one of them said no. It's hard to believe, considering her huge body of work. And if passionate photography aficionados haven't heard of Elaine Mayes, ordinary folks definitely haven't heard of Elaine Mayes. 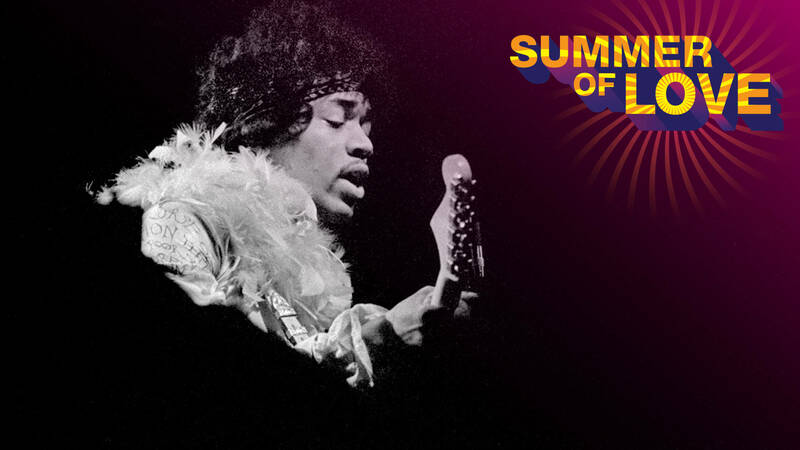 With front-row shots from legendary Summer of Love moments -- including the Fantasy Fair and Magic Mountain Music Festival at Mount Tam, the Monterey Pop Festival and the Haight-Ashbury scene -- Mayes could have parlayed just a few years of work into a career like those of Jim Marshall or Baron Wolman, two photographers who became famous from, and inextricably linked with, the hippie rock era. But besides an affordably priced self-published collection of her Monterey Pop photographs, Mayes -- unlike so many others -- has done little to capitalize on the fact that she was in the right place at the right time. It's a result of her tendency to keep moving forward -- from location to location and job to job -- and, she admits, her poor business acumen. 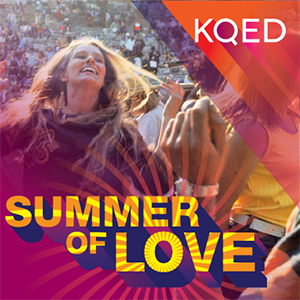 For the moment, that historical purpose is determined by a widespread institutional desire to recognize the 50th anniversary of the Summer of Love. Locally, Mayes’ indelible images currently appear in exhibitions at the de Young, the California Historical Society, the San Francisco International Airport and the Monterey Museum of Art. Back in the Haight of 1967, Mayes couldn’t imagine she’d have a lifelong career as a fine arts photographer because such a thing simply didn’t exist. There was commercial work -- freelance gigs from magazines and newspapers, product photography for advertisements -- and there were personal projects, but no one paid their bills with personal projects. 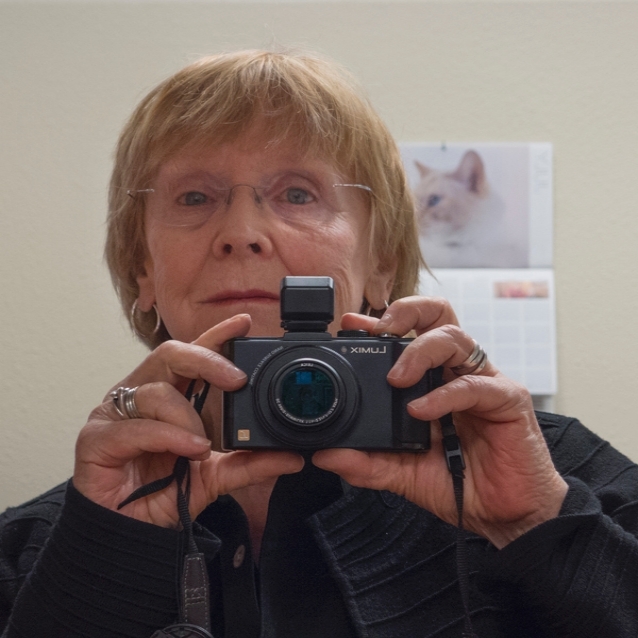 That Mayes now has six decades of personal projects under her belt, with three of those decades spent teaching countless film and photography students, is a testament to her essential role in the field of fine art photography -- a field once defined by its nonexistence. But she got two As in art, so after graduating with her bachelor's degree in 1958, she continued straight on to what was then the California School of Fine Arts (later known as the San Francisco Art Institute), studying painting under Richard Diebenkorn ("not a verbal man," she says) and Nathan Oliveira. To support herself, she “went commercial,” taking assignments from magazines and designers, advertising agencies and Stanford’s medical school. 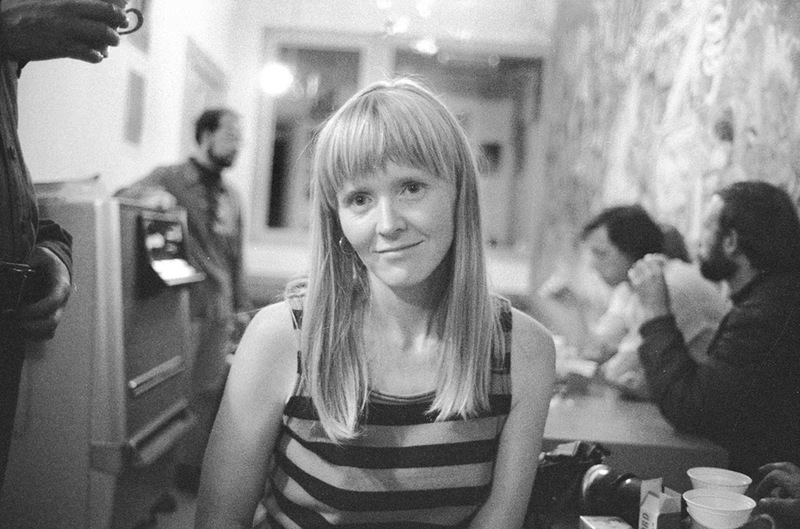 For a time she was a regular photographer at San Francisco's jazz nightclubs. 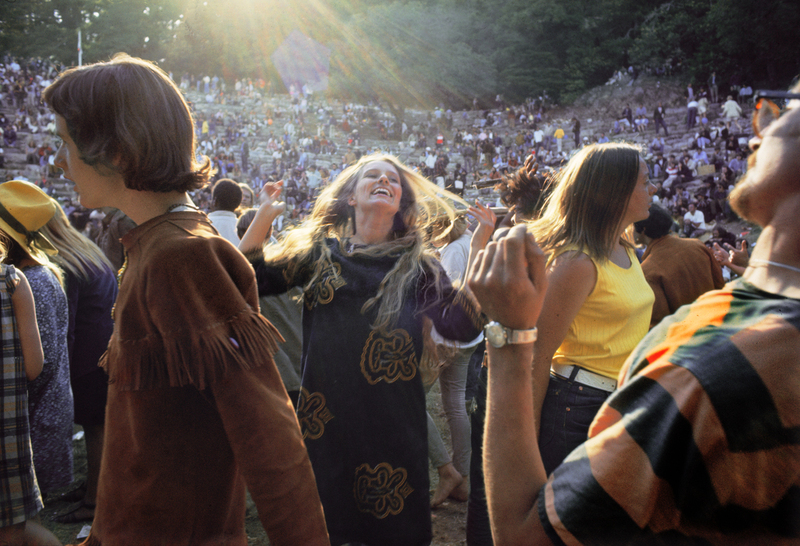 Then, one day, she got an assignment to cover the three-day Monterey Pop Festival for a music magazine called Hullabaloo (later known as Circus). Her camera wasn't always focused on the stage. She captured Nico and Brian Jones, who didn't perform at the festival, milling through the crowds. In one particularly lucky instant she photographed Jimi Hendrix outside the festival grounds, casually browsing a flower stand in a brocade vest, patterned jacket and a big floppy hat. Other elements kept Mayes at a distance, too. "Hippie culture was very misogynistic,” she adds. “Though I wouldn’t have used that word then.” The Grateful Dead house was a block away from Mayes’ apartment, but she didn't go there alone -- it just didn’t feel safe. Here, again, she’s being way too humble. When Mayes left San Francisco for the University of Minnesota, she was the first woman to teach photography and film at a university in the United States. As art programs were just starting to appear on liberal arts campuses, she went on to become a founding faculty member at Hampshire College, where one of her first students might be familiar to public media audiences: the documentary filmmaker Ken Burns. Amidst teaching, Mayes tried (admittedly, not that hard) to get her work out into the world. 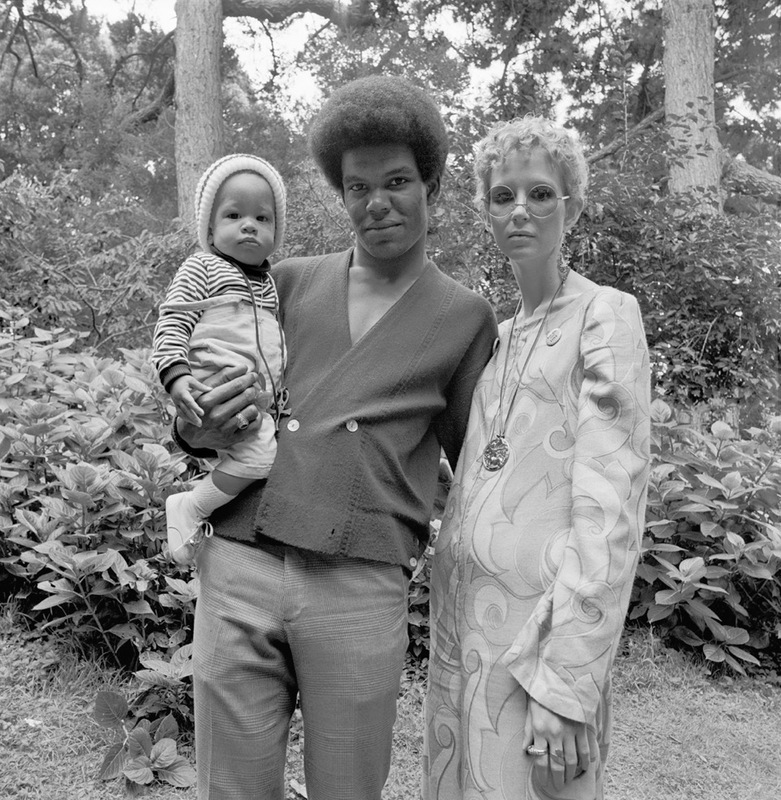 The Haight-Ashbury portraits were exhibited at the Minneapolis Museum of Art in 1969, and about 20 of them were published in a 1970-71 issue of the photography magazine Aperture, but that was their last public appearance for decades to come. In 1971 she received an NEA grant (one third of what she asked for) for Autolandscapes, and drove across the newly formed interstate highway system with her then-husband and four cats, chronicling the cars, factory towns, roadside signs and blurry foregrounds from her passenger-side window. One photo in the series she remembers as "just magic" -- a Greyhound bus captured in the middle of the frame, its double appearing below it in the pond beside the road. 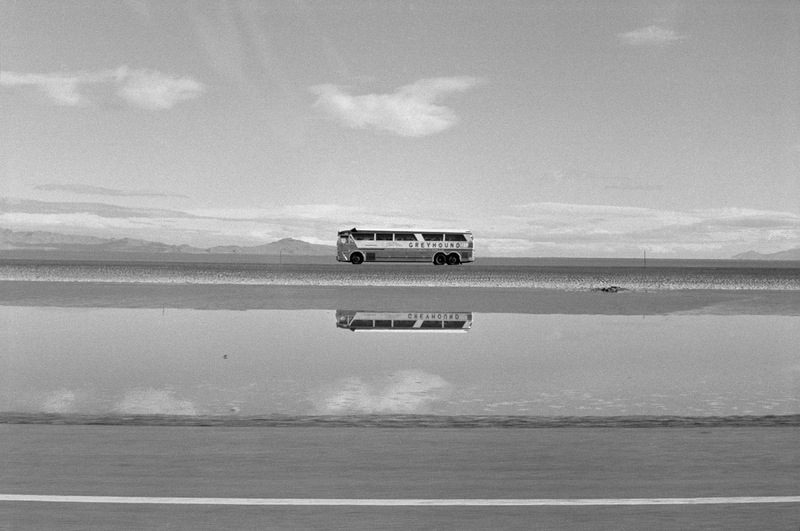 It's melancholy and immediately familiar, the perfect evocation of the loneliness of bus travel across the vast and often desolate American landscape. Later, she narrowed in on an even more specific geography, with the same incisive eye that makes her Haight-Ashbury portraits so emotionally direct. In Ki‘i No Hawai‘i, a series nearly 20 years in the making (subtitled "Photographs from/of/about Hawai‘i") Mayes documented, obliquely, poetically, the people and culture of Hawai‘i with funds from a 1991 Guggenheim fellowship. In one photograph from the series, a crowd of tourists lounges on the deck of a sailboat, part of a snorkel cruise as a precursor to a real-estate sales pitch. 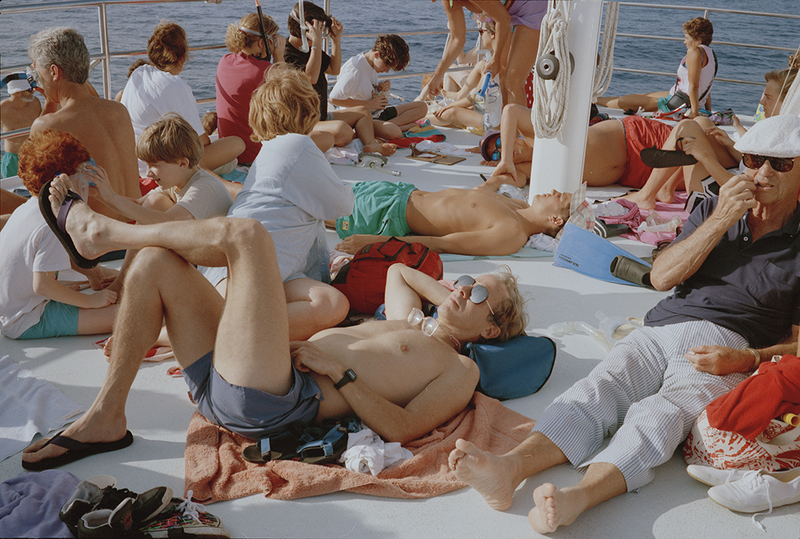 Over years of visits from New York (where she was a professor in and later chair of the photography department at NYU’s Tisch School of the Arts), Mayes' photographs capture, through subtle visual cues, the economic shift in the state from agriculture to snorkel-cruise timeshare tourism. Once again, Mayes' years of work didn't reach the wider audience she hoped for. "I made a book," she says, "but nobody wanted the book because it was too ambitious. It wasn't about selling Hawai‘i and it wasn't about Hawai‘i's past." The color negatives live in two refrigerators in her Catskills home. As much as Mayes' career is shaped by her ability to keep moving forward, it's others' insistence on looking back that brings her the greatest possibility of broader recognition. 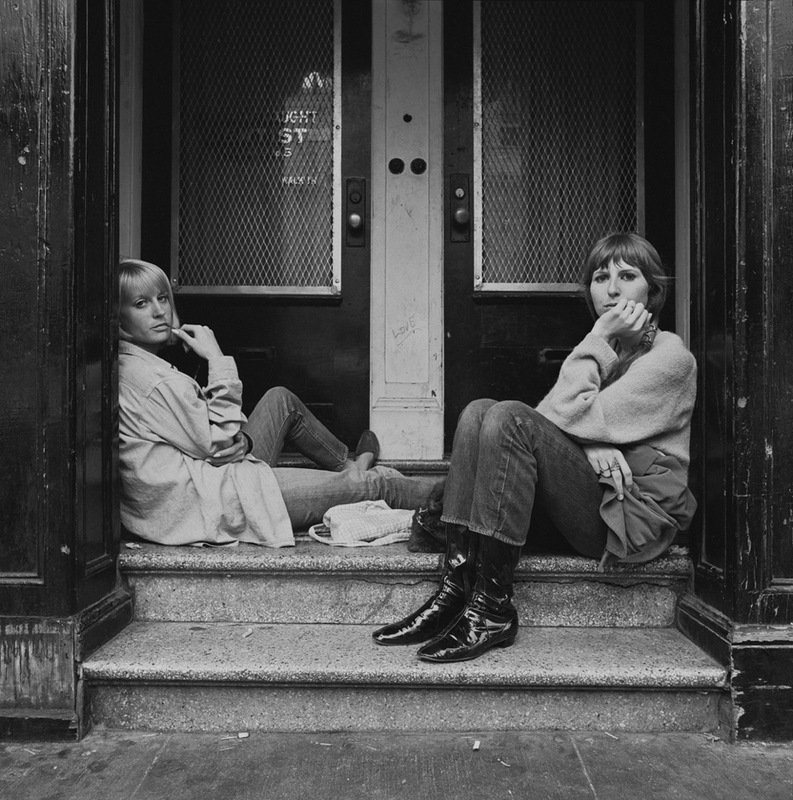 It worked on me: Without her participation in the Bay Area's Summer of Love bonanza, I might never have learned about the 80-year-old photographer who vacationed yearly with Helen Levitt, rubbed elbows with Diane Arbus and shaped the academic structure of fine arts education. But just a brief one. Mayes has plans for six books she’d like to make in the time she has left (“I could make more, but that’s a good arbitrary number”), and she still carries a camera with her everywhere, because you never know when Bing Crosby might sing at your friend's wedding (true story). For someone whose off-and-on gallery representation rarely included involvement with museums, curators or historians, who promptly answers all her own emails and gathered the materials necessary for her involvement in a cavalcade of this summer's museum exhibitions without the help of an assistant, being at this stage in her photography career is about finally learning how to present herself and her work in a field she indisputably helped create. 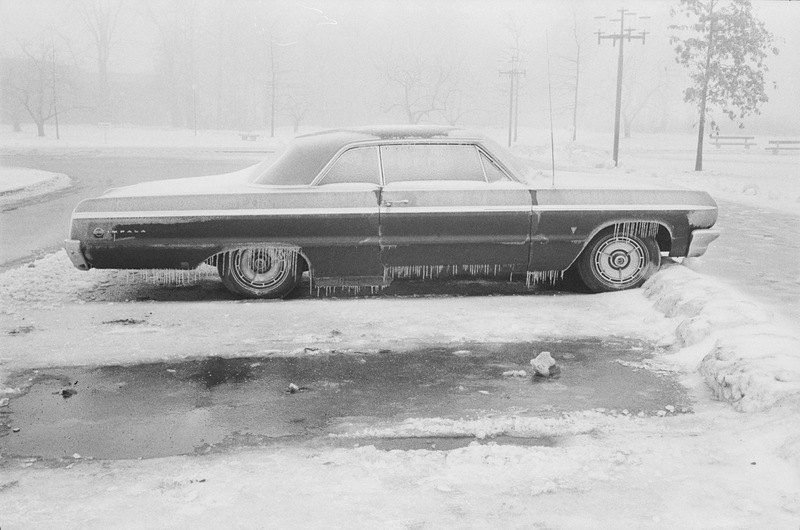 More of Elaine Mayes' work can be found on her photography site.